Endocrinology and metabolic diseases involve very common diseases like diabetes, obesity, polycystic ovary syndrome, hypertension and thyroid disorders. Endocrinology diseases especially adrenal, pituitary, thyroid, gonadal, and metabolic-related diseases require clinical experience, expertise and collaboration with other departments, and are so important for evaluating endocrine diseases. Expertise can only be gained by different case evaluations. Endocrinologists and internal medicine specialists should increase their capacity of creative thinking about their patients for more accurate patient care. This book is a compilation of work that may be beneficial for endocrinology and internal medicine residents, surgeons, and medical students. 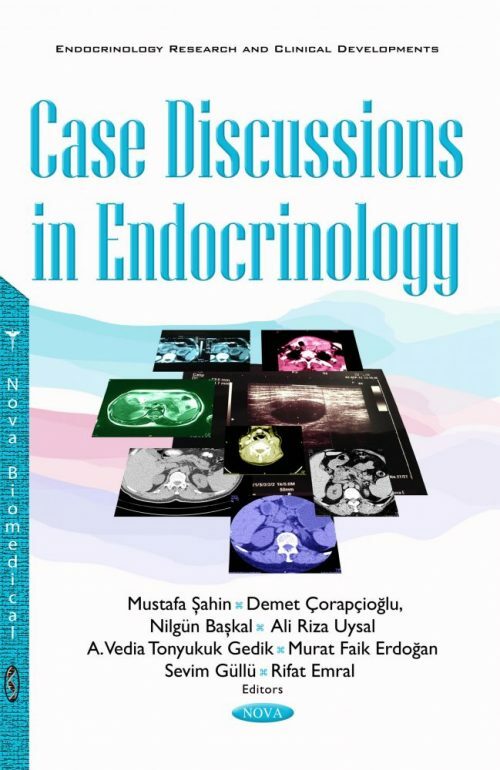 The purpose of this book is to cover up-to-date practical endocrine case management, daily practice and manage difficult cases in endocrinology. The authors would be happy if readers would send comments, feedback and suggestions so they can correct their mistakes and can arrange a second book with new cases according to their suggestions. Special thanks are given to the consultants in the Endocrinology Department and other departments in Ankara University for sharing their clinical expertise with the authors. Many thanks are also given to Nadya S. Gotsiridze-Columbus, Carra Feagaiga, Stella Rosa and Nova Science Publishers for their extraordinary organizational help. Chapter 4. Adrenal Incidentaloma with Subclinical Cushing Syndrome: How to Treat? Whom to Treat?